James Read Tan is the only tanning range formulated and headed by a self tan expert. Every product within the range is developed directly by James himself. He has created a concise edit of innovative tanning products combined with skincare benefits to provide not just a natural tan but beautiful, healthy skin that is suited for every skin type and tone. James Read’s hero innovation, Sleep Mask Tan, is the world’s first overnight tanning product to create that perfect, subtle glow. Sleep Mask Tan is fast drying, colourless, stain-free and is infused with anti-ageing skincare actives. Taking the beauty world by storm, Sleep Mask has graced the pages of the most prestigious publications across the globe. 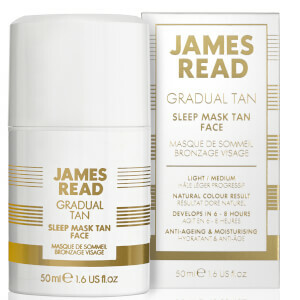 - “James Read Sleep Mask Tan is the best facial tanning product I have ever used. I can’t stop using it!” says Harper’s Bazaar. 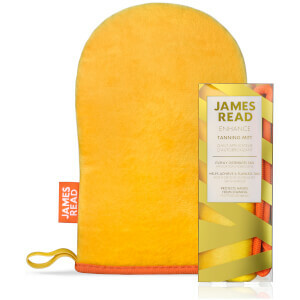 Spritz your way to refreshed, golden skin with James Read wildly popular H20 Mist. Infused with pure rose water, this lightweight mist offers the ultimate gradual tanning experience. Each application will gradually build a deeper tan, allowing you to control your depth of colour. Once you find your perfect shade, simply top up 2 – 3 times a week for an instant boost. - Infused with ultra-hydrating ingredients for soft conditioned skin, James Read’s Tan Accelerator intensifies and prolongs any natural or self tan and can be used before or after a holiday to enhance a natural tan. James is the UK’s leading self-tanning expert. A pioneer of tanning trends worldwide, James puts tan and skin-finishing techniques into the spotlight. James is a regular judge for several prestigious beauty awards such as GQ and Shortlist Awards whilst being the go-to-tan man for the top fashion shows. His expertise is in demand by international beauty companies and he is a recognized influencer in tanning trends. His signature tanning style has generated a sizeable following and an unrivalled A-list clientele, such as Ellie Goulding, Rosie Huntington-Whitely, Lady Gaga and Cara Delevingne. James incorporated his experience in salons, film shoots, celebrity suites, award ceremonies and backstage to develop a unique product range, James Read Tan.